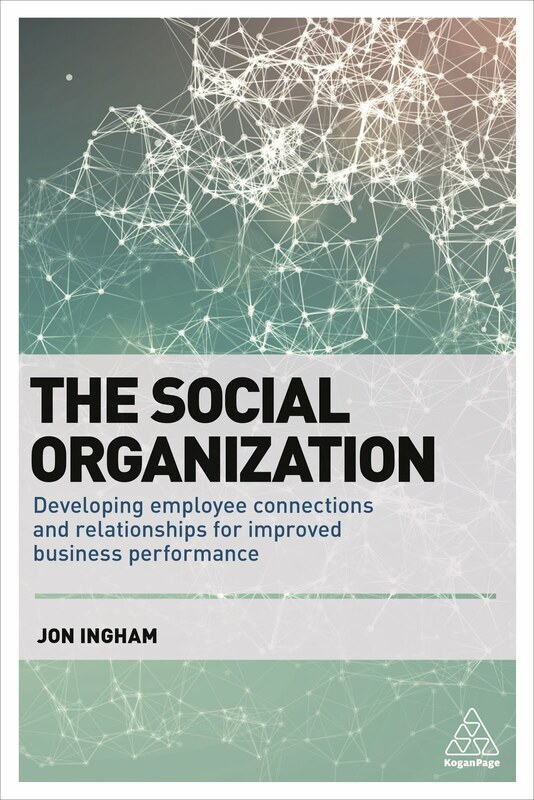 In this book, Birkinshaw discusses the role of a company’s management model, ie "the conscious choices made by a company’s top executives to define how work gets done”. “The required distinction isn’t between management and leadership, it’s between internal and external, or the organisation and the business. I want to explain a bit more about this. In my book, and in my Strategic HCM blog, I talk about a human capital value chain which produces human, organisation and social capital. What I’m really talking about here is a value chain for the organisation, rather than Michael Porter’s value chain for the business (which I also write about, along with a further value chain focused on customer loyalty). “There is a third value chain driven by human, organisation and social capital. In this chain, the current potential of the business, including the value that people associated with the business may choose to invest in it, are the ‘raw materials’ that form the inputs to the value chain. These inputs go through a series of transformational processes that could be part of a major change programme. Alternatively, they could just be the activities undertaken by individuals and teams who are flexible and adaptive to change and who, by responding to emerging situations, transform the way that business is performed. The output of the processes is improved organisational capability which provides a return on human capital. This capability is also expressed as human, organisational and social capital but is now created value, intangible capability, not just a ‘resource’. It is valuable, rare or unique, sustainable over time and not easily imitated. This capability provides the basis for business sustainability, differentiation, competitive advantage and transformation. The progression from the customer to the organisation value chain is similar in nature to the progression from Porter’s value chain to the customer- driven one. Businesses can always access financial capital if they have got profitable customers. Businesses can always find customers if they have got appropriately capable people. Again, this is not saying that either investors or customers are unimportant – but by moving focus to a deeper source of value it is possible to have a greater impact on the business. This is why Richard Branson at Virgin has always said he focuses on people first, customers second and shareholders third. Jack Welch at GE stated ‘there are three key measures in business – customer satisfaction, employee satisfaction and cash flow, in that order’ but later admitted he had listed customers and employees the wrong way round. In my view, it’s this organisation value chain that Birkinshaw writes about in his book. Each of these chains, the business chain and the organisation chain, require both leadership and management. Birkinshaw’s model isn’t really a Management Model at all – it’s simply an organisation strategy / design. The distinction is important. So for example looking at the experience of Shell and Lehman, Birkinshaw notes “That the right Management Model for a big oil company is not necessarily the right Management Model for an investment bank”. This isn’t necessarily true. It could still be the implementation of this – the management of the organisational design – that was wrong. From a leadership / strategy perspective, it might have been exactly the right organisation design (or management model). Or take the example of peer assists introduced by John Browne at BP. This was one of the processes scrapped by Tony Hayward. Why? Well according to Christopher McLaverty, BP’s head of Leadership Development, it was because BP had been “over led and under managed” – so BP also saw this (rightly, I think) as part of their leadership, not a management, approach. The distinction is useful because it shows that business and organisation (not leadership and management) focus on two separate outcomes – the business focuses on customer satisfaction and financial results. The organisation focuses on organisation capability – human, organisation and social capital. And this allows us to focus on outcomes rather than activities which helps to make our activities more strategic. Birkinshaw’s management model focuses on new ways of co-ordinating activities, new ways of making decisions, new ways of defining objectives and new ways of motivating employees - all activities. My organisation value chain focuses on what is really important - human, organisation – and social advantage. Activities are only useful to the extent that they lead to these. And once an organisation is clear about the type of organisation capability it wants to create, it can easily choose the activities that will lead to the required outcome. The example of AG Lafley’s Connect + Develop open innovation approach at Procter & Gamble is instructive. Birkinshaw suggests that Lafley made a public commitment to changing the company’s innovation model. I don’t think he did, did he? He made a public commitment to an outcome – that 50% of P&G’s innovation would come from outside the company. We need to look at outcomes rather than activities. Organisation not management. Reinventing organisation. 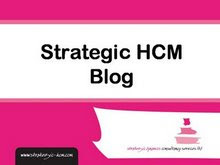 Strategic HCM and Social Advantage!